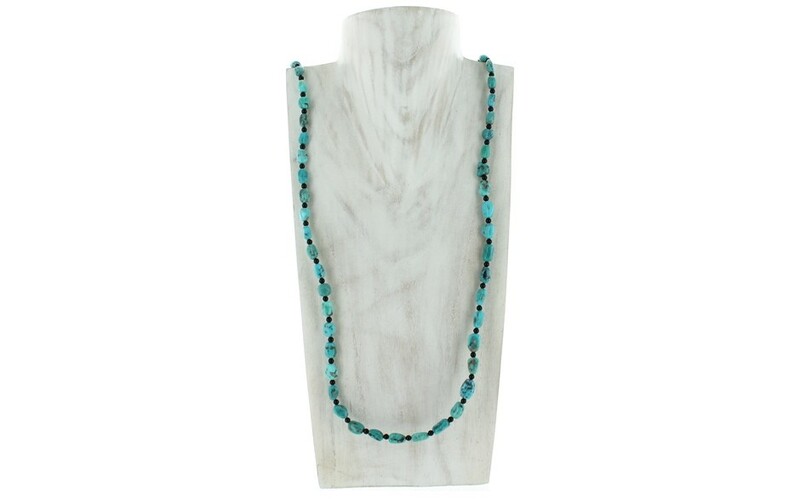 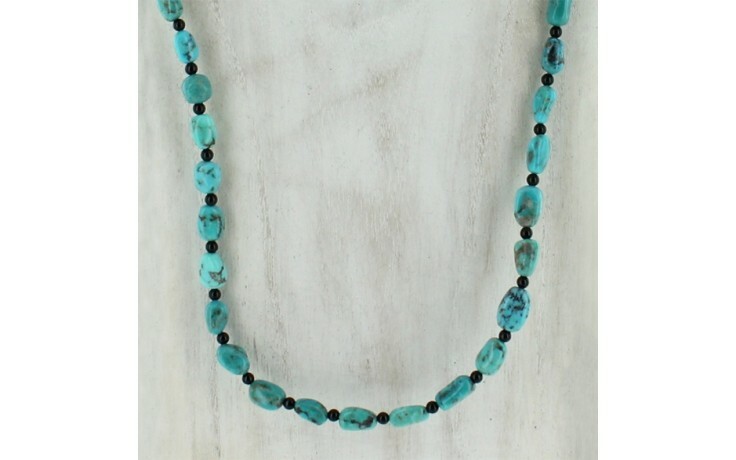 Semi graduated blue green turquoise nuggets are accented with smaller round black agate beads in this long necklace. 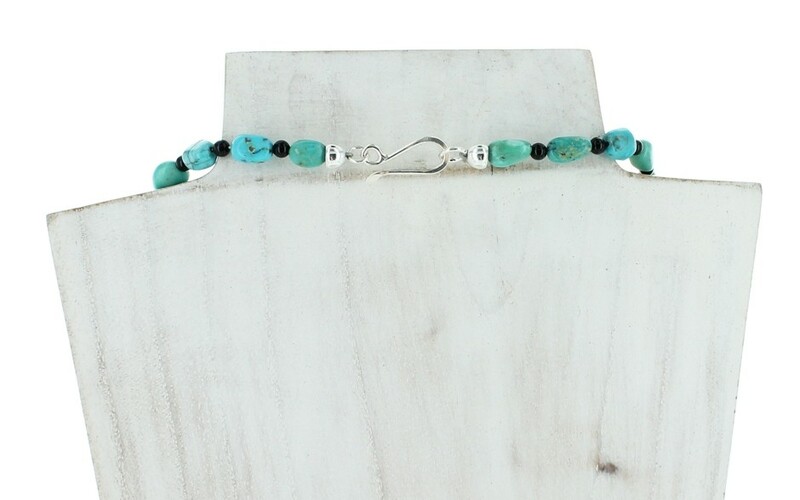 Great to stack with other pieces or wear long. 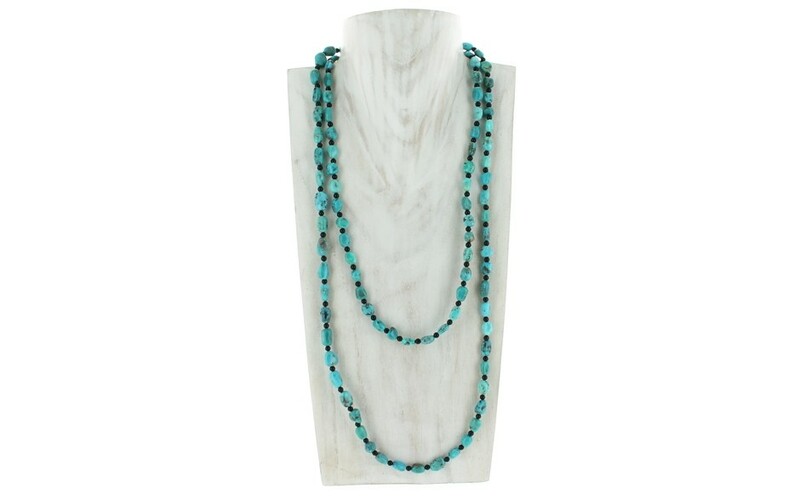 Has the perfect amount of color to add that "pop" to your ensemble. The turquoise beads measure approximately from 9x5 mm to 11x8 mm and the black agate beads are 3mm.